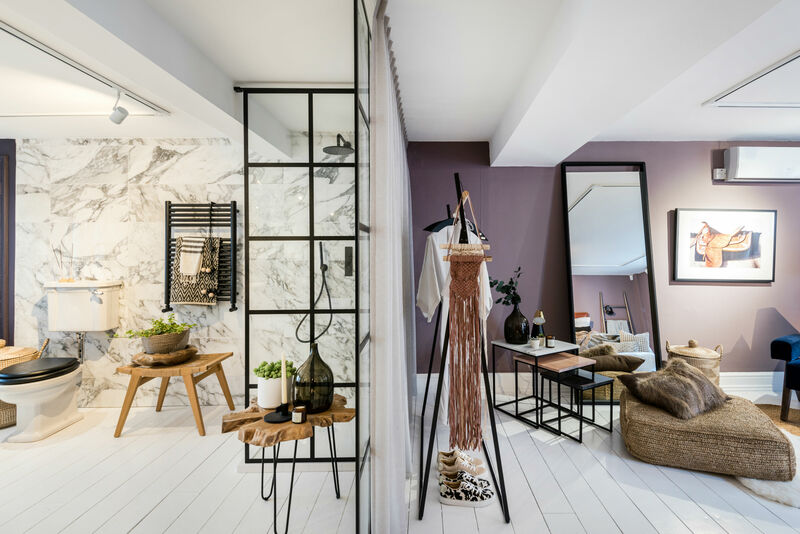 Brining to life the biggest interior design trends of 2018, Houzz of 2018 is a pop up installation that has taken over 19 Greet Street in Soho, London. Free to the public and open from the 26th – 31st of January, the five-storey Georgian townhouse has been transformed from a blank canvas into the beautiful home of a – very sophisticated – couple with an equally fashionable toddler. Complete with a living room, kitchen, bedroom, bathroom, home office and child’s room, Houzz of 2018 has covered all the angles of home design with remarkable detail. Within 19 Greek Street, Houzz is offering visitors the unique opportunity not only to see a variety of spectacular, in-trend products, but also visualises how these elements can work together to create beautiful interiors. The pop up includes a range of products that can be found on the Houzz website. 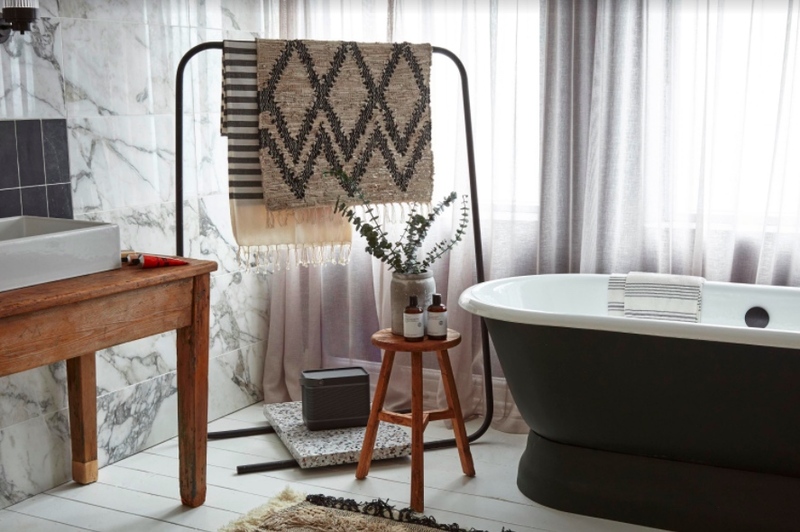 Alongside opening the Houzz of 2018, Houzz - a leading platform for home renovation and design inspiration - have now launched their e-commerce section of the website, offering visitors the chance to buy their favourite products. The platform also has an expansive online community, and has used insights from this community – as well as research data – to find the biggest design trends and transform these ideas into the physical representations seen in Houzz of 2018. In order to bring the space to life, Houzz collaborated with London-based creative design studio Run For The Hills; renowned as the go-to design team for cool and edgy residential and commercial spaces, the creative firm was perfectly placed to design the Houzz of 2018 interiors. “It’s such a cool concept and a wonderful showcase for us. There are some fabulous partners on board; a real coming together of creative minds. The Greek Street Georgian townhouse venue is an amazing blank canvas and we can’t wait to see it transformed,” says Anna Burles, Creative Director of Run For The Hills. Working closely with the Houzz team, as well as lead sponsors, vendors, collaborators and contributors, Run For The Hills have created a range of beautiful, impactful interiors over the five-story townhouse. What’s more, as this reporter can testify first hand, although the Houzz of 2018 highlights a range of different products – from a £26,800 bed in the master bedroom by Hästens to the handmade, luxury Hend Krichen crockery in the kitchen – it does so without feeling like a showroom floor. Instead, Run For The Hills have managed to find the delicate balance of showcasing fantastic design and making the space feel inviting and homely. Houzz of 2018 is just that: a house (albeit, a very modern, refined house lived in by a trend-setting couple with impeccable taste). 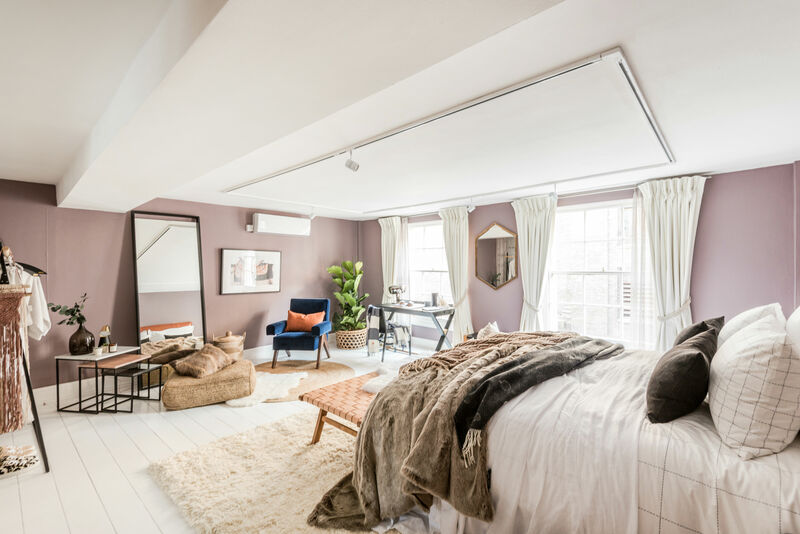 The glory of Houzz of 2018 is that it makes visitors want to jump into the king-sized bed, or sit down on the bright orange Red Edition sofa in the living room – it is the perfect embodiment of “make yourself at home”. 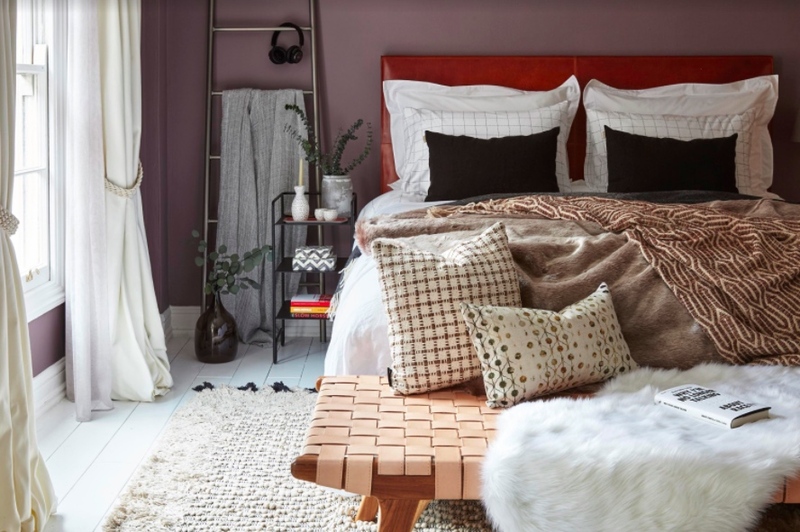 Run For The Hills was also given Houzz’s findings on the key trends for 2018 and used these to create the interiors. Within each room, elements of the hottest trends for the coming year can be seen, but are effortlessly blended into the space; the team had three days to transform the space before the pop-up's opening, but thanks to their precision and the intimate detailing throughout the house, 19 Greek Street feels like it has always looked this chic. Botanicals and houseplants is one trend that is clearly visible throughout the house - fauna has been subtly placed in every room. This is neatly coupled with other trends, including the use of green tones and a ‘modern rustic’ look; rich, foresty greens are used throughout the Houzz of 2018, which also touches on the rising trend of pairing dark walls with brighter room accessories. The house is also a celebration of natural colours and traditional crafts, emphasising handmade items and shining a spotlight onto the skills of independent designers and craftspeople; including the likes of Green Decore (eco-friendly rugs), Formagenda (bespoke lamps) and Maison Deux (minimalist kids products). Finally, we can’t forget about mid-century modern design – the 1970s continues its contemporary revival, and Houzz of 2018 makes this perfectly clear. 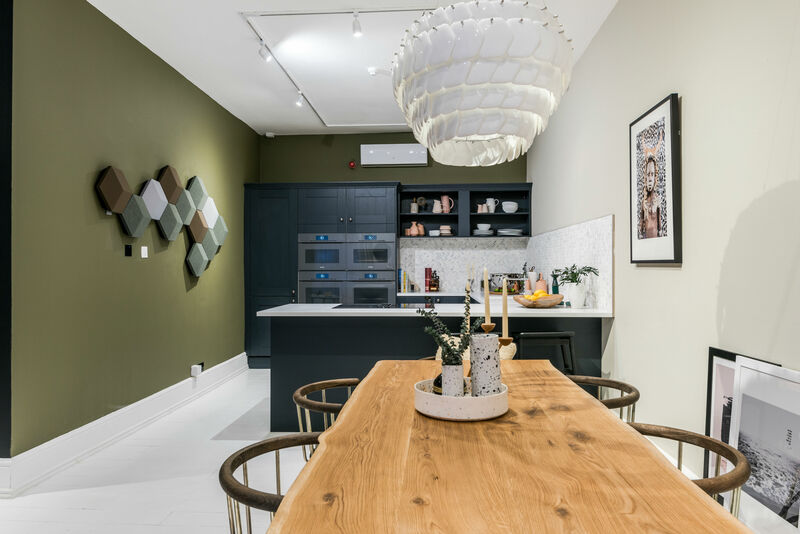 Open until the 31st of January, Houzz of 2018 is an exciting, innovative collaboration that has been brought together by a team of experts, offering visitors the chance to be inspired by great design. Over the weekend, the house will also be home to a range of fascinating workshops, including ‘Candle making’ with Earl of East and ‘How to Care for Your Houseplants’ with Patch. Unfortunately, due to the high demand for each of the workshops, they are all officially sold out. 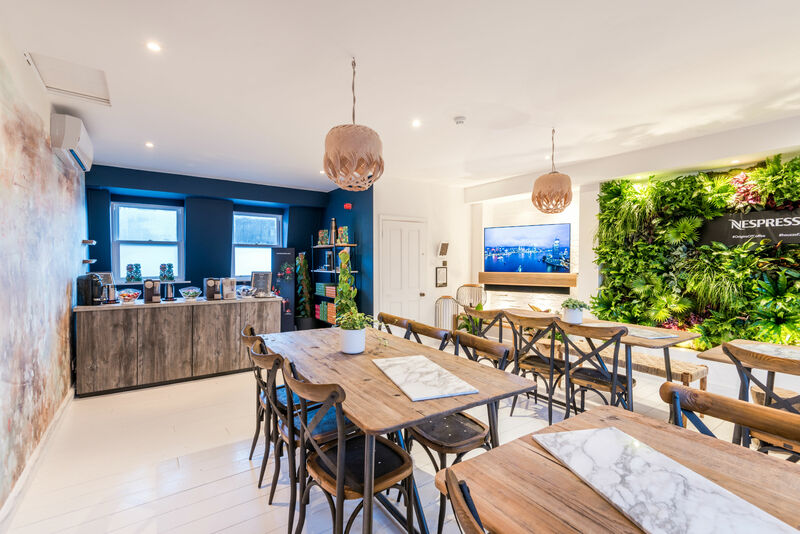 Even so, with free entry and a Nespresso bar offering a taste of the latest coffee trends on the top floor of townhouse, there is plenty to see and enjoy at the Houzz of 2018. Just be sure to bring a camera – every element of this stunning pop-up is truly, utterly Instagram-worthy. Houzz of 2018 is free to the public, and is open from 11am - 9pm from 26th - 31st January (closing at 6pm on Saturday 27th) at 19 Greek Street, Soho.